Life-cycles funds take the hassle out of asset allocation but at a price. Investment advisers and academics remind investors that portfolio performance is related to asset allocation — the mix of stocks, bonds and cash — and the market returns for each type of investment. Life-cycle funds aim to take the stress out of asset allocation by doing the math for you and selecting the mix, but this comes at a price. A CNNMoney article estimates more than $380 billion is invested in such funds, as of 2012. 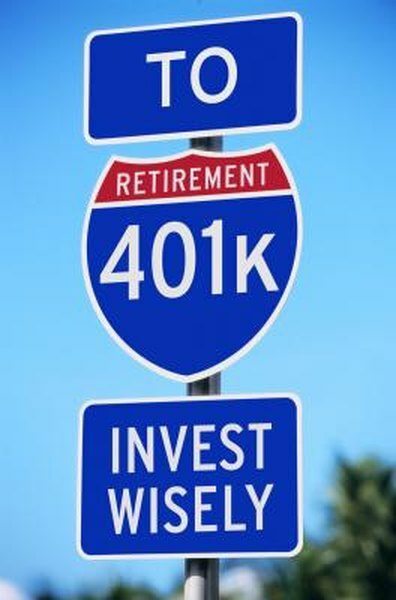 The main reason: They are often the default option if you don't select your own investments in your company's 401(k) plan. Life-cycle funds, also called target-date funds, are a mix of other mutual funds, rather than a portfolio of individual stocks and bonds. Large investment companies such as Fidelity and T. Rowe Price offer them, made up of their in-house funds to give you a balance of assets depending on your target date to cash in the investment. They are designed to be held long-term, with "maturity" dates to coincide with your anticipated retirement year. These investments have names like "2025 Fund" or "2065 Fund." With a life-cycle mutual fund, you don't need to rebalance your portfolio every year as your retirement nears. The fund management team reallocates assets to an appropriate mix for an average risk level of the portfolio holders. This means shorter-date funds, designed for investors who are closer to retirement, will have more stable assets like bond funds and cash. Longer-date funds will have more stock funds in the mix. The big fund companies only use their own funds in the mix, not necessarily the best-performing stock or bond funds. You don't have any say in what mix of funds your target-date fund holds. To have more control over your retirement assets, you'll want to have other investments besides a life-cycle fund, to increase your returns or reduce the level of risk, depending on your financial situation and preferences. Total management fees on the investment are higher than holding the individual funds, because you're paying an extra level of fees for the "fund of funds" portfolio management. This could also reduce your ultimate rate of return. As with any other mutual fund, check under the hood. Look at the asset-allocation mix of comparable funds from several different investment companies before making a choice, especially the shortest dated funds, to see if the manager may be weighting stocks more heavily than you'd like to see in your portfolio just before you retire. 2015 funds showed a range from 20 percent to 63 percent in stocks, indicating the degree of variation in investment strategies and expected returns. While a 2011 "Consumer Reports" study showed some life-cycle funds underperformed a simple stock market index, there's more to the story. Near-date funds include more bonds than stocks, so they will always under-perform the stock market, but they offer more security. Long-dated funds have more stocks, seeking higher returns, but at the cost of higher risk. Keep your risk-return profile in mind when deciding if this is the correct investment for you.